David said that he was baking a chocolate cake for me. If we consider these two sentences, we might notice that both of them convey the same message, but there is a difference if we look closely. In the first sentence, I am conveying the activities of David in his (D) own words without changing it; it is called direct speech or we can say reporting speech. In the second sentence, I am using my own words to convey the activities of the speaker (D) to the audience. This we can say indirect speech or reported speech. Indirect: George said that he could not be with me. Indirect: They said that they would be partying that night. Indirect: I told George that he should stay. Indirect: She asked me how I was doing that day. I. 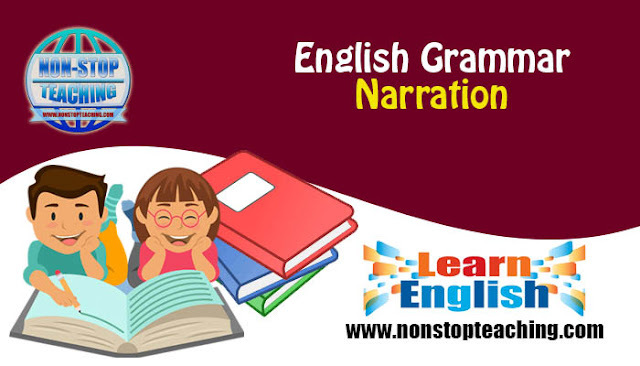 If there is a yes-no question in the direct speech, then the reported speech will start with whether/if and the reported clause form will be (subject+verb). Indirect: Peter asked if I was from Australia. Indirect: Tom asked whether I wanted to sit there. Indirect: Brad asked who would go with him. Indirect: Tina inquired what the charges would be. Indirect: I asked the man where the hotel was. Indirect: Mother asked me how the chicken was. In a statement speech, we will use ‘that’ before the reported statement and the reported verb will be ‘told’ (followed by an object) or ‘said’ (will not be followed by an object). Indirect: Edward said that he liked the book. Indirect: Alice told me to sing. Indirect: The man requested to bring him a chair. Indirect: The officer ordered to fall back. Indirect: Mother advised me to listen to my elders. Indirect: Mr. Murphy forbade going near the house. To change direct exclamatory speeches to the indirect one we need to replace interjection (hurrah, wow, alas, oh, etc.) with joining clause ‘that’ and the exclamatory wh-words (what, how) will be replaced by ‘very’ before the adjective in the reported clause. Indirect: Clare exclaimed with joy that Barcelona had won the match. Indirect: I exclaimed with grief that my pet had died. Usually, the present changes to past tense while we change direct speech to indirect. Indirect: She said that she worked in New York Times. Indirect: Jim said that Bill loved to drink Wine. Indirect: She said that she lives in Paris. Indirect: Mother said that Bob was taking a nap. Indirect: He asked if they were writing the paper. Indirect: Nicolas said that he had made a donut. Indirect: The teacher announced that the dates had been decided. Indirect: The boy said that he had been waiting for his mother since morning. Indirect: Robert Langdon said that his mother had given the Mickey watch to him. Indirect: The teacher said that Shakespeare’s playing company had built the Globe Theatre in 1599. Indirect: Jenny told me that Marlow had been leaving Belgium. Indirect: Maria said that she had been dialing my number and I had called. Note: If two sentences are combined with a conjunction, and both sentences have different tenses then we need to change the tenses of both sentences according to the rule. Indirect: Alex said that he has stopped to visit me. Indirect: She said that Greece had tried to uphold their economy. Indirect: Smith said that his parents would be there at 9am. Indirect: Barbara asked if I would be her partner in the coming Summer Ball. Indirect: John promised that he would be there. Direct: “I may not call you.” Said Boby. Indirect: Boby said that she might not call me. Direct: “I shall practice more.” said Barbara. Indirect: Barbara said that she would practice more. Indirect: Joseph asked if he should buy the car. Note: shall becomes should if it implies a question. b. Modal verbs like could, should, need, must, might, used to do not change in reported speech. Indirect: she said that she would not be the victim. Indirect: David said that I need to repair the car. Indirect: Mary said she used to love dancing. Indirect: I said that Simon read Wordsworth the day before. Indirect: Mother ordered me to go home at that moment. Direct: “Bring the money with you.” Said Jessie. Indirect: Jessie demanded to take the money with me. Indirect: The lovers promised to meet there the next day.